My sons car was wrote off on cosmetic damage only. We were quoted over £2k to repair from other garages. This company did the work for less and the standard of work was outstanding. Honest and reliable. We recommend them to anyone in need of damage repair . 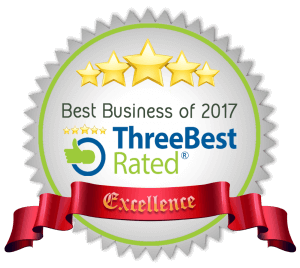 Had a slight knock in my car,found A-team,on-line.phoned them to arrange to look at damage.They quoted me ,when they viewed the damage.All work was completed ,from quote to picking car up, in seven days,and to the highest standards! !WELL DONE,A TEAM. top quality work, great friendly service. would highly recommend to anyone. One word ......FANTASTIC!!! Professional, Good attitude and the work was superb!!! Would recommend to anyone needing work done. Great job on my motorcycle repairs and paint job, quick responses,suggestions and willingness ,would certainly use again. Superb service. Friendly and will go the extra mile. You will not be disappointed. Gave them a mammoth task to get my LDV through its MOT. The body work thy did is top notch and service is absolutely excellent. Will be using them again. They also know an excellent mechanic too. Be sure to have a very good job done, they pay attention to details and have the jobs done professionally. Definitely an A team indeed! 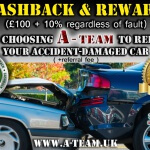 Accident Repair Cash-back and Reward.. 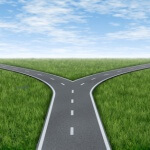 If you are involved in a car accident..
You have a legal right to choose your vehicle repairer! Copyright© A-Team Body Repair Centre® Ltd.